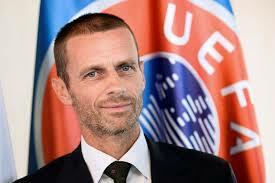 September 20 – UEFA President Aleksander Ceferin has challenged European governments to help bring about greater competitive balance within the game, not least allowing salary caps which has long been close to the Slovenian’s heart. Ceferin used his address to UEFA’s extraordinary Congress today to highlight a list of changes he would like to see in European football, acknowledging that many of them can’t be done without government legislation. “It has become clear that competitive balance is our number one priority,” Ceferin told delegates. “We will not be afraid to take firm, bold action to right the wrongs. We must protect the magic of football before it’s too late but we must be allowed to do so. These, he said, could include salary caps, a luxury tax, squad limits, transfer reform, a clearing house to control money flows, restrictions on commissions paid to agents, a solidarity tax on transfers to fund amateur and women’s football soccer, and banning ownership of two or more clubs.